Graduated from Weber State University, holds a Masters Degree in Curriculum and Design and endorsements in Gifted and Talented Instruction and from USU an endorsement in Administrative Supervision. Is married and is the father of 5 children. Mr. Windsor currently is a member of the Utah All State Band Committee, Utah State Marching Band Committee, Utah State Band Committee and the former Chair of the Utah Winter Drumline Association Executive Board. He was just elected to serve as the UMEA Band Vice President!! Favorite hobbies are anything relating to sports - especially basketball and football - spending time at home and helping anyone who needs it. Mr. Windsor is originally from Morenci, Arizona and is a proud Veteran of the US Air Force where he worked in the Explosive Ordnance Disposal career field. He is a sought after adjudicator and clinician. He has judged for the Miss Dixie State College Scholarship Pageant and the US Bands Marching Band Association and the UMEA (judging solo/ensemble, concert bands and jazz bands). 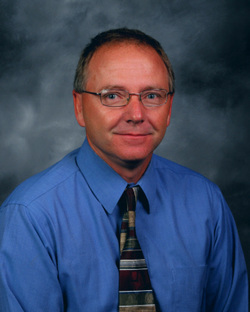 Mr. Windsor is also the Director of the Music Department at Snowcrest Junior High School in Eden, UT. Here he teaches all Bands, Choirs and Orchestras. He has served as an Assistant Track Coach (over the throwing events) and as the Assistant Director in the School Musical. Mr. Windsor also serves as the Assistant Marching Band Director and is the "VOICE" of the Weber State University Wildcat Marching Band. Jeff comes to Weber HS after having worked as an advisor and assistant director at Roy HS for 6 years. Jeff was a Music Ed major at WSU for 3 years. He attended the Star of Nevada Leadership training camp for 3 years and earned their highest award, Drum Major Elite. Jeff served as his high school Drum Major at Bonneville HS under the direction of Mr. Windsor, and was Drum Major at WSU for 2 years. Shamra has been involved with color guard since 1999. Shamra has performed with several groups, including the Bonneville High School Color Guard and Winter Guard, the Fremont Color Guard, the Roy High School Winter Guard, and the Weber State Color Guard. While performing, she held the positions of Equipment Manager, Co-Captain, Captain, and Rifle Captain. Shamra has also been an assistant advisor with the color guard programs at Bonneville High School, Fremont High School, and Weber State. We are currently screening applicants to find the best fit for our program and continue a great percussive tradition here at Weber High.